Cloud provider sees value in testing software and workloads off-premise. The ability to experiment and deliver new functionality is critical for business, according to Amazon Web Services (AWS). 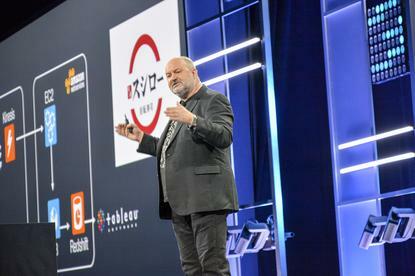 At re:Invent 2014 in Las Vegas, CTO, Werner Vogels, characterised agility as the “holy grail” for many organisations. “Agility is really for most organisations are after today, especially using digital services,” he said. In a marketplace where competition is fierce, Vogels said businesses need to be adaptive and flexible to meet the growing needs of customers. As for what Vogels sees are the foundation of agility, he said it is development testing. “Some CIOs say development testing is not a serious or core workload for them,” he said. Vogels points to how a media company informed him their CMS would take 50 days to copy. “If something takes 50 days, you’re not going to be able to innovate,” he said. The company changed to AWS and Vogels said a copy of their CMS took only four hours. “That means as a company they can innovate, drive new products, and do things they could not do before,” he said. In the traditional development cycle, Vogels said testing in the Cloud was almost always the forgotten step. “For many of our customers, testing in the Cloud not only allows them to drive test workloads faster, but also at a much higher fidelity than they could do otherwise,” he said. With the growth of the Cloud as a development platform, Vogels said development as a whole is changing. “Smaller blocks of your application, even in the form of micro-services, allow you to work in isolation to achieve faster updates and build better services, and help to boost the agility of your company,” Vogels said.